You feel that? It’s the feeling of flames…flames on the side of your face. 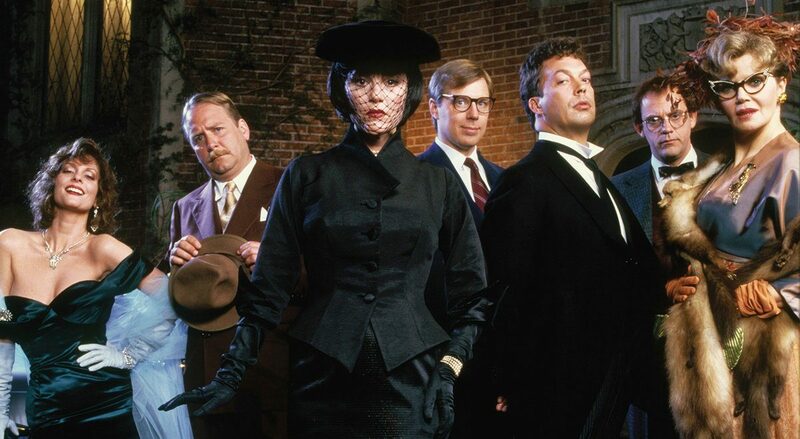 A new stage adaptation of the board game and 1985 movie Clue is in the works from Hasbro Inc. and The Araca Group. The film’s writer and director Jonathan Lynn will pen the play, with Hunter Foster set to direct. The world premiere will first bow at Bucks County Playhouse in New Hope, Pennsylvania in May 2017 before embarking on a national tour. This marks Hasbro Inc. and the Araca Group’s second announced stage collaboration this year. In June, it was reported that the two were at work on a musical adaptation of Monopoly. No word yet if Hasbro is also looking into that Scrabble musical we’ve been dreaming about. In addition to Clue, Lynn wrote and directed the 1990 film Nuns on the Run; he also helmed My Cousin Vinny, The Distinguished Gentleman, The Whole Nine Yards, The Fighting Temptations and Wild Target. Foster, a Tony nominee for his performance in Little Shop of Horrors, has previously directed Company, Ain’t Misbehavin’, National Pastime, The Rocky Horror Picture Show, Summer of ‘42, The Buddy Holly Story and It’s a Wonderful Life at Bucks County. A musical adaptation of the board game played off-Broadway in 1997.